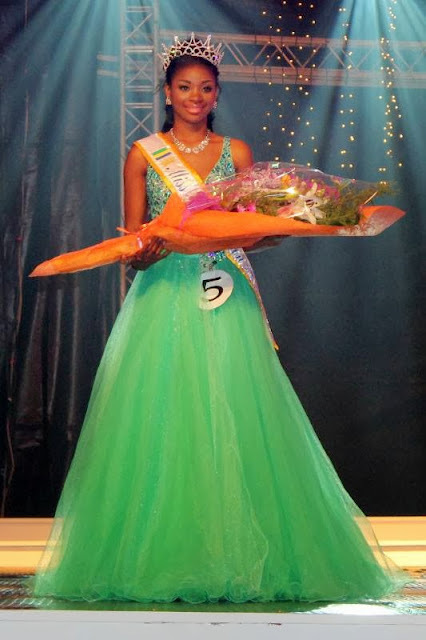 LIBREVILLE, Gabon - Maggaly Omrnellia Emmanuelle Nguema (21) was crowned Miss Gabon 2014 (photo above) on November 30. She will represent Gabon in Miss Universe 2014. 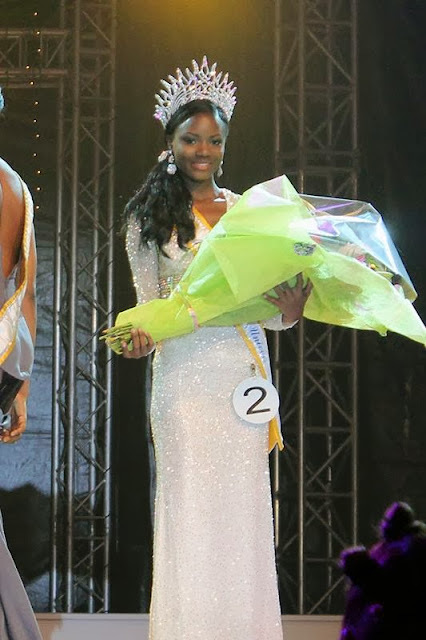 Pulcherie Nze Nzoughe (24) was crowned Miss Monde Gabon 2014 (photo below) at the same event held at the Botanical Gardens of Libreville. She will represent Gabon in Miss World 2014 in London, England. CARTAGENA DE INDIAS, Colombia - Paulina Vega Dieppa (20, 1.75m, Barranquilla) was crowned Señorita Colombia 2013/2014 at the conclusion of the Concurso Nacional de la Belleza held at the Cartagena de Indias Convention Center on November 11. She will represent Colombia in Miss Universe 2014. The first runner-up was Zuleika Kiara Suárez Torrenegra (19, 1.80m, San Andres) and will compete in Miss International 2014. 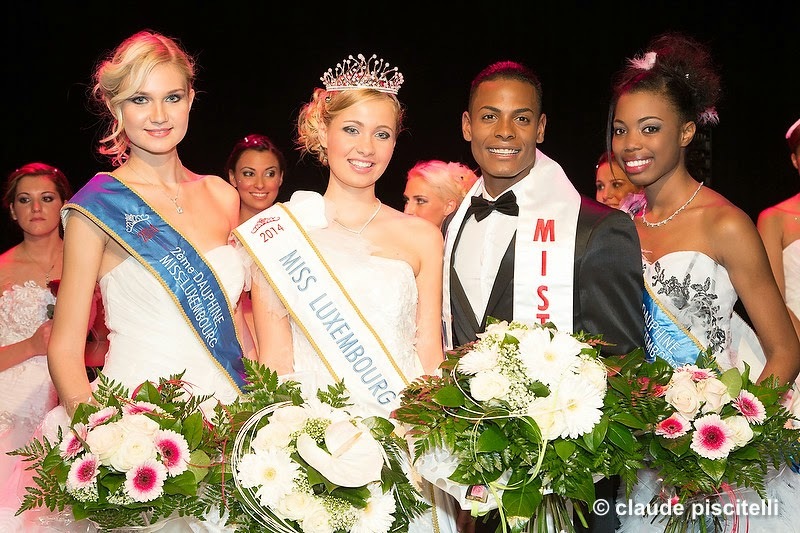 MONDORF-LES-BAINS, Luxembourg - Frédérique Wolff (19) was crowned Miss Luxembourg 2014 at the Casino 2000 in Mondorf-les-Bains on November 9. 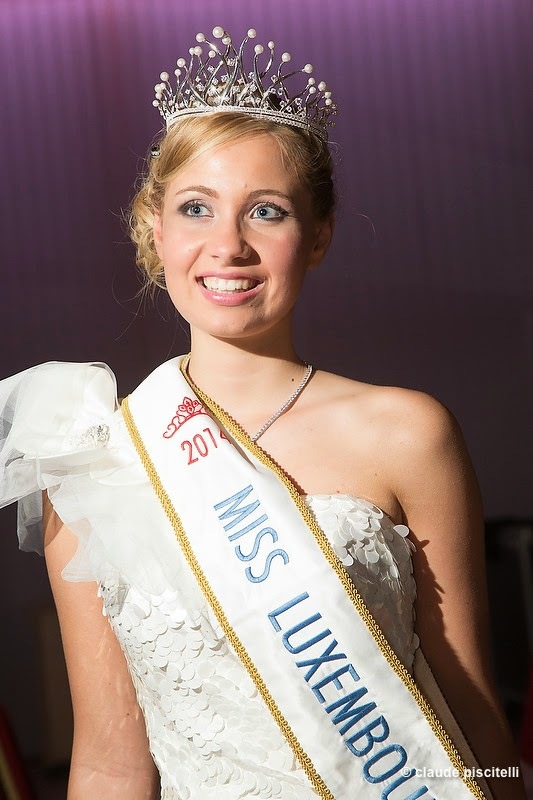 She will represent Luxembourg in Miss World 2014 in London, England. The first runner-up was Cynthia da Moura Varela and the second runner-up was Barbara Nijhuis. Osvaldo Sánchez Rivera won the Mister Luxembourg 2014 title at the same event. 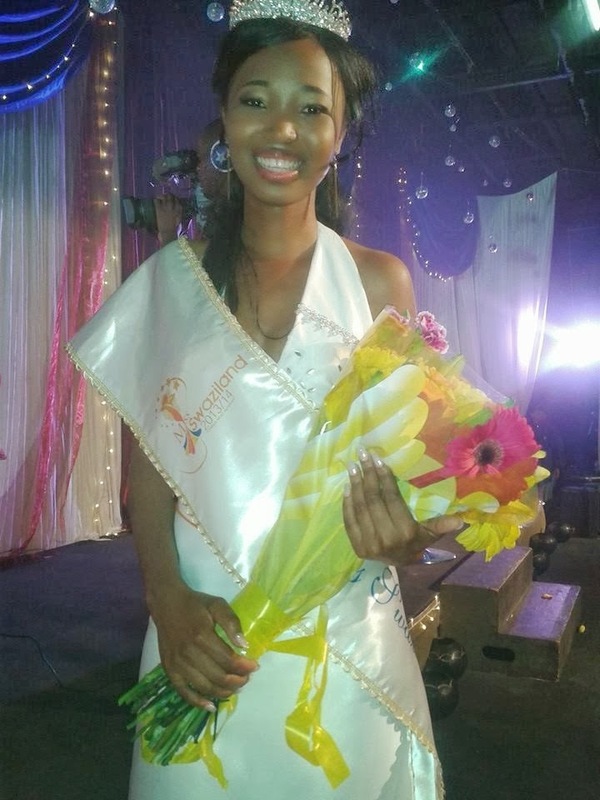 MBABANE, Swaziland - Samukelesiwe Magagula was crowned Miss Swaziland 2013/2014 at the Royal Swazi Spa Convention Centre in Mbabane on November 9. She is expected to represent Swaziland in Miss World 2014. However, her participation is not confirmed. Nadia Nascimento and Melissa Marvis were the runners-up. KRASNOGORSK, Moscow Oblast, Russia - María Gabriela de Jesús Isler Morales (25; 1.81m; Valencia, VENEZUELA) was crowned Miss Universe 2013 at the conclusion of the 62nd Miss Universe finals held at the Crocus City Hall in Krasnogorsk, Moscow Oblast, Russia on November 9. Patricia Yurena Rodríguez Alonso (Spain) was the first runner-up, Constanza María Báez Jalil (Ecuador) was the second runner-up, Ariella Hernandez Arida (Philippines) was the third runner-up and Jakelyne de Oliveira Silva (Brazil) was the fourth runner-up. Kim Ye Jin (China), Fabiana Granados Herrera (Costa Rica), Whulandary Herman (Indonesia), Nastassja Isabella Bolívar Cifuentes (Nicaragua), Monic Marie Pérez Díaz (Puerto Rico), and Dominique Rinderknecht (Switzerland) were the top sixteen quarterfinalists. Nastassja Isabella Bolívar Cifuentes (Nicaragua) won the Best National Costume award, Paulina Krupińska (Poland) won Miss Photogenic and Kim Ye Jin (China) won Miss Congeniality. Ariella Hernandez Arida (Philippines) advanced to the Top 16 by winning the online voting. 86 contestants competed for the crown. Azerbaijan was the sole debuting nation. The returning nations were Myanmar (1961), Austria (2004), Kazakhstan (2011), Slovenia (2011) and the Turks and Caicos Islands (2011). NICOSIA, Cyprus - Elísa Georgíou (19) was crowned Star Kypros 2013 (Star Cyprus 2013) at the conclusion of the Pancyprian Official Beauty Contest 2013 on November 7. She will represent Cyprus in Miss Universe 2014. Ioánna Filíppou (19) finished in second place and was crowned Miss Kypros 2013 (Miss Cyprus 2013) at the same event held at the Mega TV studios in Nicosia. She will represent Cyprus in Miss World 2014 in London, England. The runner-up of Star Cyprus is Katerína Theodorou and the runner-up of Miss Cyprus is Maírii Zavoú. MANAGUA, Nicaragua - María Esther Cortés Molina (21) was crowned Miss Mundo Nicaragua 2014 at the Rubén Darío National Theatre in Managua on November 2. She will represent Nicaragua in Miss World 2014 in London, England. The first runner-up was Yumara López and the second runner-up was Daniela González. This is the first Miss Mundo Nicaragua pageant organized by Denis Dávila who obtained the license for the nation in 2011. 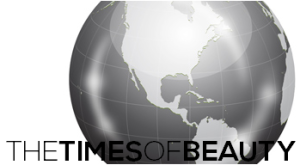 The pageant also featured a reality series.